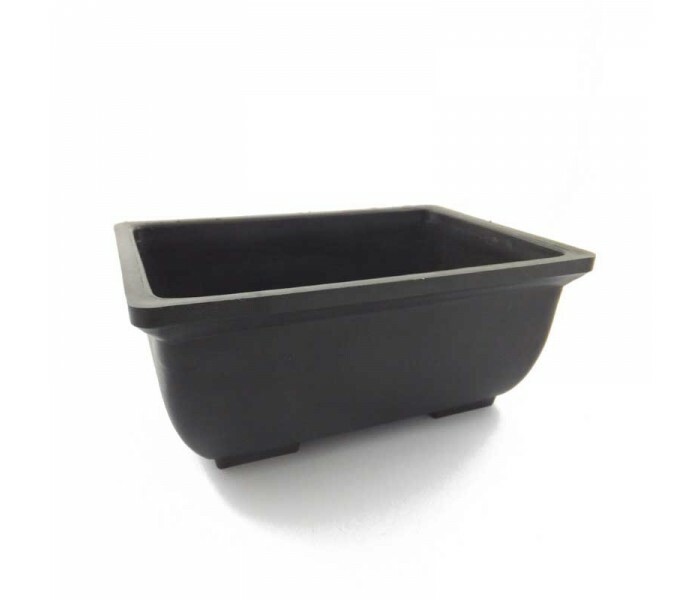 Plastic bonsai pot - 15cm x 10.5cm x 6cm rectangle. Sturdy, frost-proof pots that look almost as good as the real thing. Strong, frost-proof, plastic bonsai pots (with drainage holes). Save cost by using these pots for trees in training. Choose a matching plastic drip tray. Choose one just shorter than the pot for a tight fit. 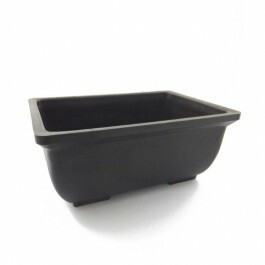 See the full range of plastic bonsai pots.